Trying to reach out to online-savvy prospects and customers? Keep in mind that they are armed with the ultimate sharing devices: smartphones. Point, click, shoot, share, browse, smile is a daily routine. There are social networking apps that cater to this audience, and the most popular of all is the ubiquitous Instagram. Instagram is the perfect platform for share-o-holic, socially active fans. 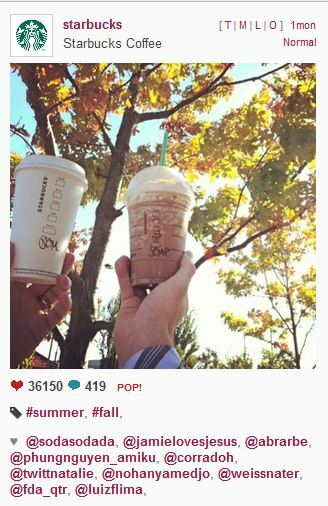 Users share appealing photos, add one (or a few) #hashtags, and followers interact by leaving comments and liking. It is basically a Twitter of pictures. Instagram is currently only available as a mobile app, but once you have a username and password, you can use Webstagram. You can’t post pictures, but you can browse and interact, follow and unfollow. Instagram use is exploding, as detailed in this article by Wired. In the United States alone, Instagram has 7.3 million daily web and app users exceed Twitter’s daily amount of 6.9 million. To summarize: People like photos. They like to share and comment. Get in on it! Get involved. Reply on pictures. Reach out and comment on photos, especially if they mention your brand or relevant content. On the other hand, get people involved! Set a trend with a hashtag and try to get people to follow suit! Encourage your followers and fans to share pictures relative to your company/service/product. #Hashtag. Tap into the vast resource of hashtags. One popular choice is #photooftheday. There’s a whole gallery dedicated to photos that get chosen. Brand Build. Have an identifier – a person, place or thing that can be or already is associated with your company, and share photos! Take Starbucks, for example. Their Instagram is loaded with pictures of their familiar drink cups. People love to take pictures of their drinks and credit the coffee-monster. Take pics behind closed doors. Showing how your company operates in the back end is the ultimate way to engage your audience. It makes them feel exclusive and part of the action. Show employees tinkering away at work. Show some of the quirkier things that happen behind the scenes. Click at events! Share flicks of fun events, local gatherings and other community outreach/interactions. Snap Quality. Don’t post fuzzy, shaky or unclear photographs. Feature cool effects, have something witty, something cute, something out-of-the-ordinary. You’ll be apt to get more looks, likes and followers – and therefore a better online presence. · Set a plan and stick with it. Don’t be random: Decide on theme, tone and content. · Follow a posting schedule. Don’t be sporadic. Show that you are an active user. · Keep in mind – Instagram may not be for everyone! If you are squeezing for ideas and don’t have enough juice, this probably isn’t for you!